Do you need one location to track customer service requests, warranties or tickets? The Saleforce Service Cloud will allow you to do this. 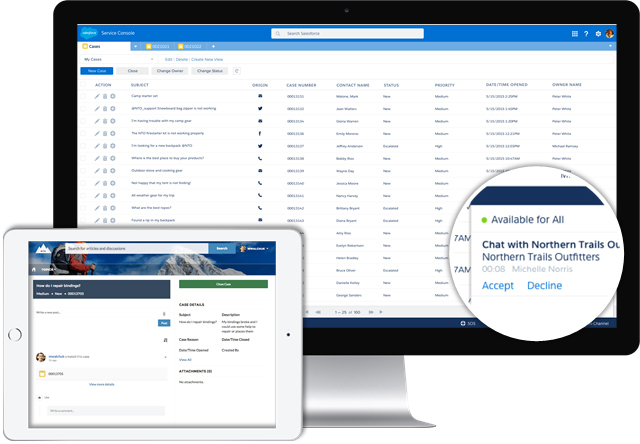 We can build in the processes to enable a customer to call or e-mail you with a question, automatically log a case in Salesforce and route to the correct support agent. The agent can then pick up this case, support the customer and close the case from one screen. If you are after more advanced functionality like SLA's, Contracts and Milestones - the service cloud can handle this as well. 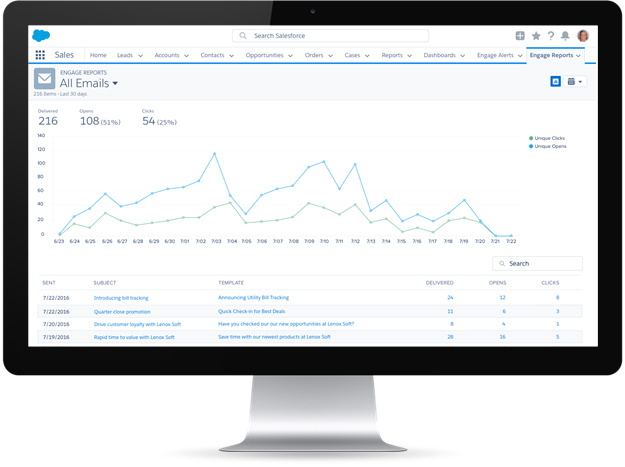 Allow your agents to work on multiple cases at once with an easy to use, tabbed style console for the Service Cloud. We will help you design your own custom console to display all required information for each case / ticket. Tracking the location, status and current jobs your field service agents are working on a daily basis can be tricky. 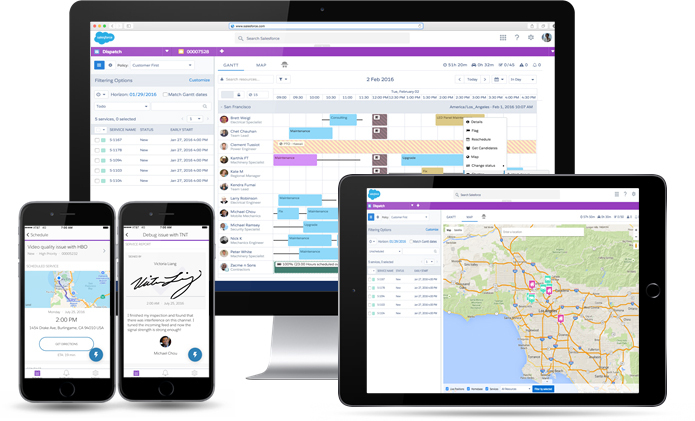 The field service component of Salesforce will allow you to receive and dispatch critical jobs to the closest field service agent or the one that has the required qualifications for the job in real time. We can help your workforce work smarter, faster and more efficiently while out on the road. Visual Reporting, Easy tracking and information at a glance from any device. We listen to the information you need to run your business and build easy to see reports & dashboards showing only the data that is relevant to you. 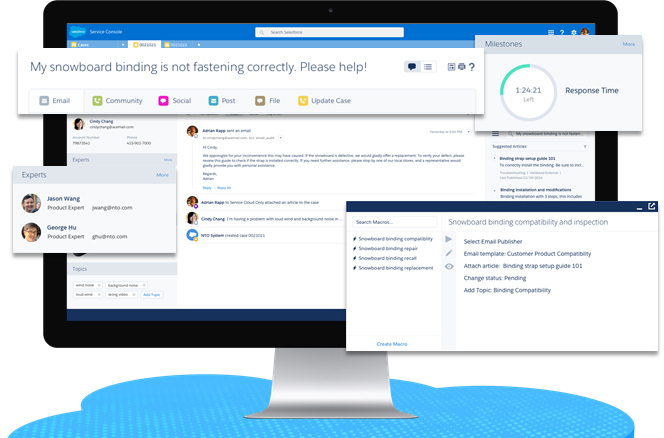 We want your business to succeed with Salesforce. You don’t pay good money on licenses to then use multiple other systems to run your daily business. You want everything integrated and working in harmony. Unfortunately, some businesses spend the money on licences but not proper customisation. This leads to a system that is not adopted, not functional and not going to work.